According to the Bureau of Labor Statistics, the average college-educated 31 year old with a full time job earned between $50,000 and $65,000 dollars in 2013. Did you make more or less than that last year? If you beat the national average go ahead and give yourself a big pat on the back. Woo hoo! You rock! I happen to be a 31 year old college-educated person, and I'm not afraid to admit that I beat the average last year! Woo Hoo! I rock! But before our egos get too big, we might want to pump the brakes a little bit. Especially after hearing about a 31 year old NYC Wall Street trader by the name of James Levin. James Levin is a Managing Director for a New York City-based Hedge Fund called Och-Ziff Capital Management Group. In 2013, James had a pretty good year. Ok, that might be the understatement of the century. Och-Ziff Capital Management Group was founded in 1994 by seasoned Wall Street veteran Daniel Och (pronounced "awk"). 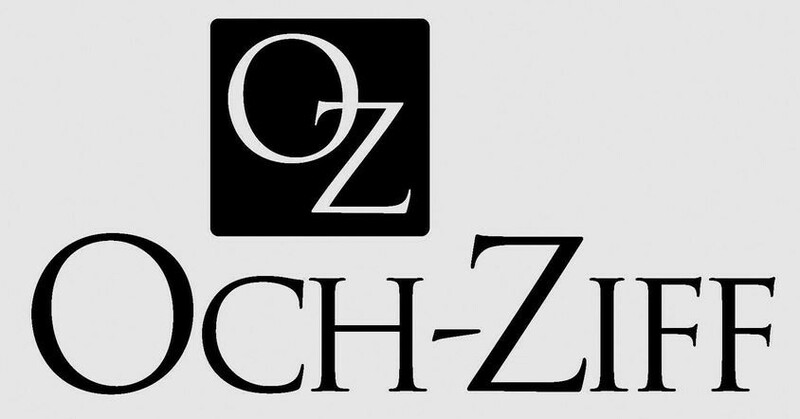 Och started the fund using a big investment from members of the wealthy Ziff family, hence the name Och-Ziff. As of January 2014, Och-Ziff has $40.6 billion dollars under management. It became a publicly traded company in 2007 and today has a market cap of $5.6 billion. After earning a computer science degree from Harvard in 2005, James "Jimmy" Levin went to work on Wall Street at a firm called Dune Capital. He then spent some time at a company called Sagamore Hill Capital Management. He moved over to Och-Ziff in 2006. Jimmy has actually been family friends with Daniel Och for years. He met Mr. Och after teaching his son how to water ski at a summer camp. Not a bad connection to make while working a minimum wage summer job. Between 2006 and 2012, Jimmy rose the ranks of Och-Ziff at a furious pace. By the time he was 29 years old in 2012, he was managing a 14 person team and overseeing billions of dollars. After turning 30, he was promoted to the firm's executive team and took over the entire global credit investing desk. If that's not already impressive enough, keep in mind that Och-Ziff has nearly 500 employees. Sometime in 2012, Jimmy made a bold recommendation. He suggested that the firm purchase $7.5 billion worth of "structured credit instruments". A structured credit instrument can be any kind of loan that has a fixed payment schedule. That includes credit card debt, mortgage debt, government debt… It's not exactly clear what specific kind of packaged debt Jimmy purchased, but considering the massive sums of money at risk, it most likely involved mortgages. An educated guess would be that Och-Ziff purchased billions of dollars worth of pre-packaged mortgages from banks that were eager to get the loans off their books at pennies on the dollar. As the economy recovered between 2012 and 2013, not only would the investment have earned a return from mortgages that were being successfully paid on time, the overall value of the investment would have increased exponentially. Again, we don't know exactly what went down, but we do know that the investment was fully unloaded sometime in 2013. We also know that by the time the investment was fully unloaded, the firm had earned a $2 billion profit. FYI, in 2013, the entire firm earned $3.4 billion, so this one trade accounted for nearly 60% of all their profits that year. Normally hedge funds are extremely secretive about how much they make and how much they pay their employees. But since Och-Ziff is publicly traded, they are legally required to report certain unusually high salaries and bonuses to the Securities and Exchange Commission (SEC). In this case, Jimmy's compensation definitely warranted an SEC disclosure. Take a look at the highlighted pink section in the actual SEC filing below. If you go from left to right next to "James Levin", you'll see Och-Ziff paid Jimmy zero dollars in salary and zero dollars in cash bonuses for 2013. Now move one column to the right. See where it says "Stock Awards"? This column lists any stock grants that were given out. In case you can't read that tiny font, it says Jimmy was also given 15.6 million unvested incentive shares in Och-Ziff. In December 2013, when those shares were filed with the SEC, they had a market value of $232 million. At today's market price, those 15.6 million shares are worth $184 million. That brings Jimmy's total potential compensation for the year 2013 to $302 million. It was actually closer to $350 million back in December when Och-Ziff shares were slightly higher. Go ahead, take a minute and let that sink in. Keep in mind, those 15.6 million shares wont be sellable for many more years. Jimmy could opt to sit around at Och-Ziff wait for all of his money to roll in. But that also might get boring. If he wanted to leave Och-Ziff, Jimmy would have to find a firm that would be willing to compensate him for the money he leaving on the table. If the money on the table was $10 million or even $30 million, it wouldn't be unreasonable for a rival firm to just cover the entire potential loss. But when we're talking about potentially $200 million, it's likely that Jimmy would have to accept a big discount if he chose to leave. One final point: Notice Jimmy opted to take all of his current and future compensation in the form of stock instead of cash? One very possibly reason for this strategy has to do with taxes. If you knew you were owed a huge bonus and your company was publicly traded, it would be smart to request stock, as opposed to cash up front. This could allow for a fairly large tax savings. When looking at the $118 million he was granted, assuming Jimmy waits more than a year to actually sell his shares, he will be able to pay the long-term capital gains tax rate (20%) instead of short term (39.9%). In terms of Federal taxes, that represents roughly $24 million in savings. He could do the same thing with his 15.6 million deferred shares, but by delaying his selling, he is exposed to fluctuations in the stock price. The stock could also go way up which would be a double win. Simply incredible. I don't really know what else to say. What would you do if you made $300 million as a 31 year old? If you were Jimmy, would you wait around 10 years to earn the full amount? Or would you say screw it and retire to a beach in the Bahamas?